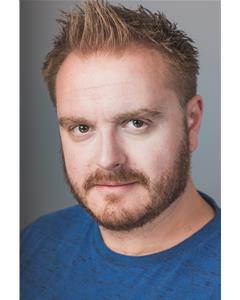 In previous years, Ashley has performed at the Oxford Castle open air Shakespeare festival, playing the roles of Feste and Caliban in a dual performance of Twelfth Night and The Tempest respectively. Ashley received high praise for his performance, one review in particular quoted as saying “Ashley Hunt’s mesmerizingly monstrous Caliban”. More recently, Ashley founded Ronin Theatre Productions (https://ronintheatreprod.co.uk) and put on “Landscape with Weapon” by Joe Penhall. This company was founded under the remit that they will only stage modern and contemporary work written in the last 30 years. Their upcoming productions will be “Collaborators” by John Hodge and “The Effect” by Lucy Prebble. Ashley has a wealth of experience on stage and we are very excited to work on securing further TV Credits, which to date includes being cast in BBC’s Torchwood for the Children of Earth series.